Book Depository sent me the wrong book and when I checked the internet I found that it wasn’t the first time that this has happened. Of course, that’s no real surprise for a company of this size but I decided to keep notes this time just in case the customer service wasn’t up to par. Here is a chronology of what happened. On May 4th, I ordered two books from Book Depository: Gronk: Volume 1 and Gronk: A Monster’s Story Volume 2. On May 7th, I received two emails saying that they were both shipped. On Saturday May 16th they arrived. Well, Gronk: Volume 1 arrived, but Gronk: A Monster’s Story Volume 2 didn’t. Actually two envelopes arrived, but both of them contained Gronk: Volume 1. At first I thought that it might have been my mistake but actually the invoice in one of the envelopes clearly states Gronk: A Monster’s Story Volume 2. I used the contact form on Book Depository at about 7PM (Japan Time) and received a reply about 4 hours later. Faster than I expected. Hi, I ordered “Gronk: Volume 1” and “Gronk: A Monster’s Story Volume 2” but I received two “Gronk: Volume 1″s.How do I get this problem fixed? Thanks, Alan. I replied at 11:10 pm with the order no., book title and ISBN on the book. Thank you for your email. Please let us know how the title received is different from the title ordered. I ordered “Gronk: A Monster’s Story Volume 2” but I received “Gronk: Volume 1”. I ordered “Gronk: Volume 1” and “Gronk: A Monster’s Story Volume 2” but I received two “Gronk: Volume 1″s. So now I have two copies of the same book, “Gronk: Volume 1”. 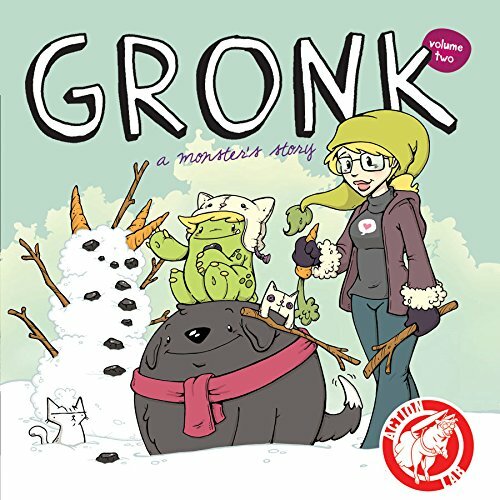 I don’t have “Gronk: A Monster’s Story Volume 2”. Thank you for clarifying further. I am so sorry we sent the wrong book. I’ve ordered a new copy of ( Gronk: A Monster’s Story Volume 2) you. This will be dispatched soon. Please allow a few days for the items to ship and then (7-10) working days for delivery.Please keep the incorrect book with our compliments. June 3rd – Received the correct book. I have ordered books from Book Depository many times and this is the first time a mistake was made. It was resolved reasonably quickly and painlessly. I will probably order from them again. Now I just have to decide who to give the book to. Barbara Hmm, interesting. I’m glad yours worked out. Something similar has just happened to me. Similar but different. I ordered a book, the Tanahk, and was careful to get the edition in English and Hebrew. The product details were clear: Language English, Hebrew. The book arrived – no English. Only Hebrew. I sent a polite email to Customer Service explaining the problem and very quickly (only a few hours later) received exactly the same reply as you did. I had already included the information they wanted so wasn’t filled with confidence to get this reply. I resent the info. Only an hour later I received another email confirming the product details and informing me that they couldn’t offer an exchange, but I could send the book back for a refund – I’d have to include a note explaining why – and they couldn’t reimburse me for the cost of return postage. As I’m in Australia and the book weighs nearly 1.5k this is not a practical suggestion. I wrote again but have received no reply so far, 20 hours later. I’d like a conversation with BD about this, or an explanation of their point of view. I know that goods that don’t match their description are usually covered by return policies, and this isn’t a little thing like the wrong colour cover. I can’t use the book as it doesn’t have English text. I checked BD’s Terms and Conditions and their returns policy and it seems to me that I’m covered. We’ll see what happens. So far I’m not impressed with the standard of customer service. Alan Watchorn Did you get a response?